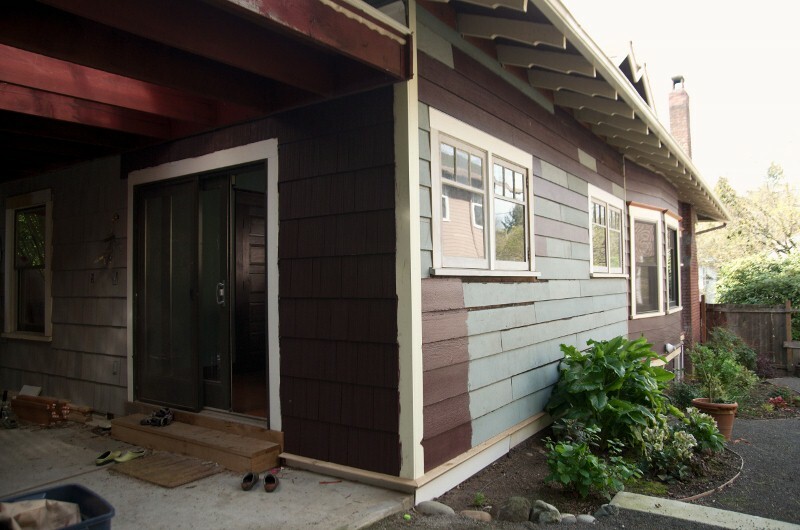 You may recall that last September we were kind of forced into putting the siding on the kitchen wall by our re-fi. Although one might argue that 7 years was plenty of time to get that done, we still weren’t ready to do it. With pain comes gain, though, and it’s nice after-the-fact to have an awful project completed. Well, sort of completed since it still needs paint. I came across Bungalow Insanity when looking for quality home improvement bloggers to take part in our Featured Industry Blogger of the Week program at Zillow. I think your site is a great fit. Please get back to me so I can tell you more about the opportunity. Previous Previous post: Art. Hung. Finally.